As you walk down the streets of many of the rural villages at this time of the year you will be surprised by the number of people carrying knives; not just young people, but middle-aged and even pensioners, all brandishing a variety of sharpened cutlery. Now if this were England then the local constabulary would have a field day rounding them up on charges of carrying an offensive weapon; thankfully Polish law hasn’t gone too mad yet and having a knife on your person is in no way considered strange even less so if you also happen to have a wicker basket in your other hand and especially if there are mushrooms in the forest waiting to be picked and trimmed with the veg knife and placed in said basket. 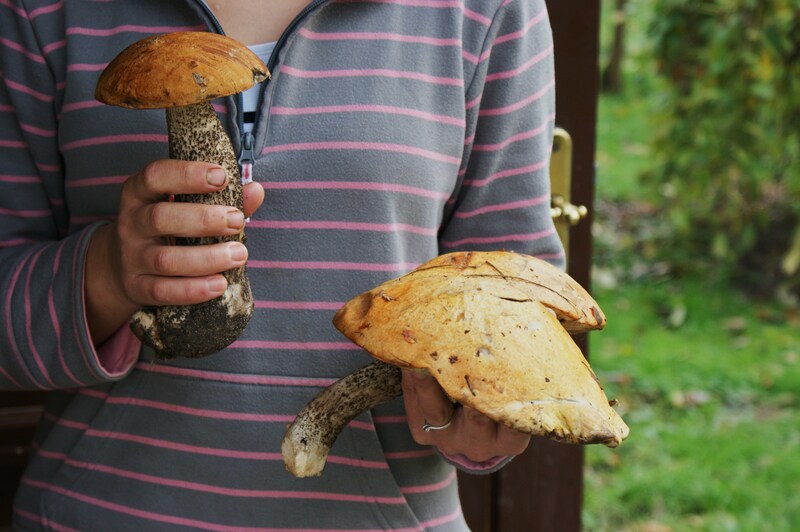 So, as we are back in Rzemien for a religious holiday (wszystkich swietych) we thought it best to join the rest of the village in the hunt for mushrooms; after all last year was a poor crop, so the intention is to pick and dry enough to last two years, just in case. Personally I thought that after the frost and snow we had last week the mushrooms would have packed up for the year, but as the temperature rises again and the rain reaches the forest floor new life is popping up all over. So the van is brought into service and stools from the kitchen provide temporary seating for extra passengers as five of us set off to the heart of the forest, Gosias mum navigating. Right left and straight on where some of the first words I learnt in Polish (Pravo, levo, prosto) and I have had a few opportunities to practice as I’ve taken polish speaking only hunting parties out in the past. Our main crop this time is the Bay Bolete with the occasional Cep thrown in for good measure but then, just as we have decided to head home as we have no more space available in the five baskets we collectively carry, we stumbled upon five of the biggest Orange Birch Bolete of the year. So big in fact that decided to take a photo of the better specimens. It is advised that you discard the stalks, they can be eaten but they are tough unless cooked for a long time; the flesh is fantastic used in a sauce, or like today, on top of a pizza. 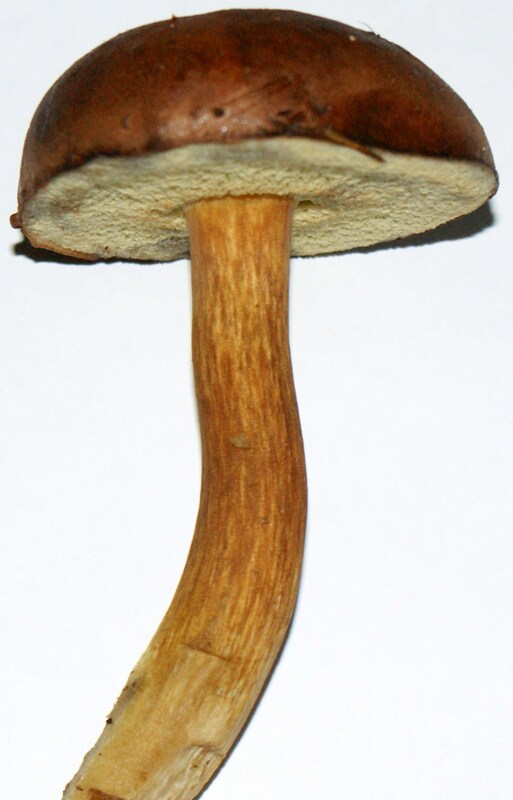 The young bay bolete will be pickled or dried, the older specimens will probably be a sauce to go with Sunday lunch. Update 4th November: Back out on the hunt today, I have requested a bigger basket! Update later in the day: don’t ask for a bigger basket, you will jinx the hunt; not so full baskets today, better luck tomorrow morning. 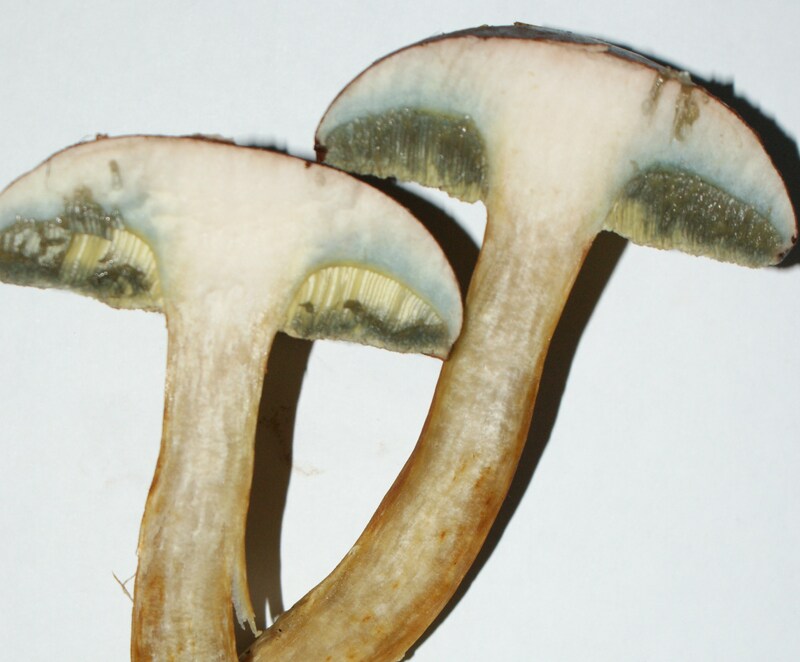 Bay Bolete identification below, notice the pours and the way the flesh turns blue when cut. 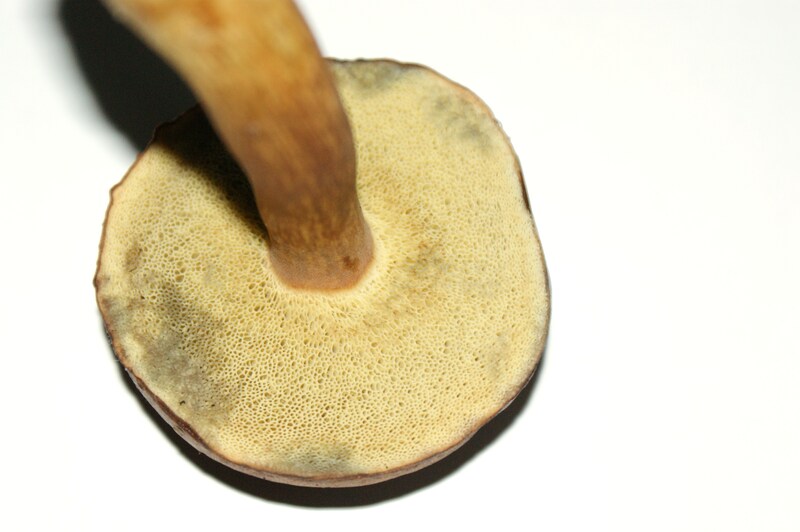 The brown cap can lighter or darker in shade, the spores are always yellow when young, becoming darker as they age. Thanks for the mushroom lesson mate! Liking them on a pizza. I like to give a pizza a good ‘pudge-up’, with artichoke hearts, sun-dried tomatoes, black pitted olives, and extra cheese. Plus mushrooms, of course… Regards, Pete. Wow we saved!!! Dried mushrooms for Christmas hurrah !! Previous Previous post: Piec off!… then on again, then off again, then on……..
Next Next post: Sheep, mutton, hogget and lamb.